What does our national day need after all the spectacular efforts of the parades? Drink free zones unlocking our awesome contemporary cultural acts with speakers, Happy Pear food, and with creative play and fun for the little ones? If you agree come and join us at Meeting House Square 3pm to 7pm after the parade this Paddy's Day. €5 at the Gate, kids under 12 free. This Paddy's Day, Happenings in partnership with Dublin City Council will transform Meeting House Square into a buzzing 'beerless' bunker supplied with creativity and culture; new Irish music, mouth-watering local food and inspiring activities for all ages. -> Food and inspiration from The Happy Pear boys. Health personified!! Kids creative play area with all sorts of fun! -> More to be announced! Join us to make something special happen. 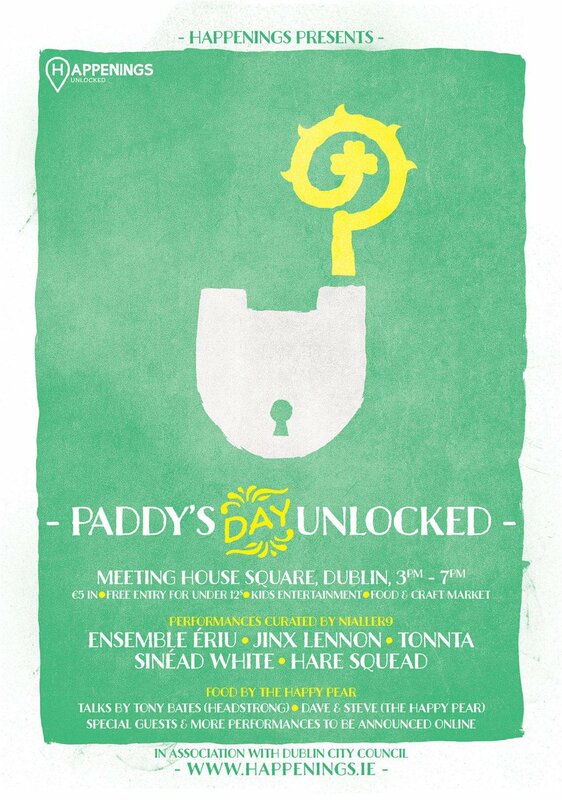 Let's UNLOCK Ireland's creativity to celebrate our culture and heritage (past, present & future)... unlocked. And listen up! This isn't an anti-booze event. It's not an attack on alcohol or pubs. It's simply providing an alternative to getting 'locked'. We all love a party, sure we're Irish! Happenings animate public space with a touch of irony and boldness and after a hugely successful event last year at Limerick City of Culture we are off again. 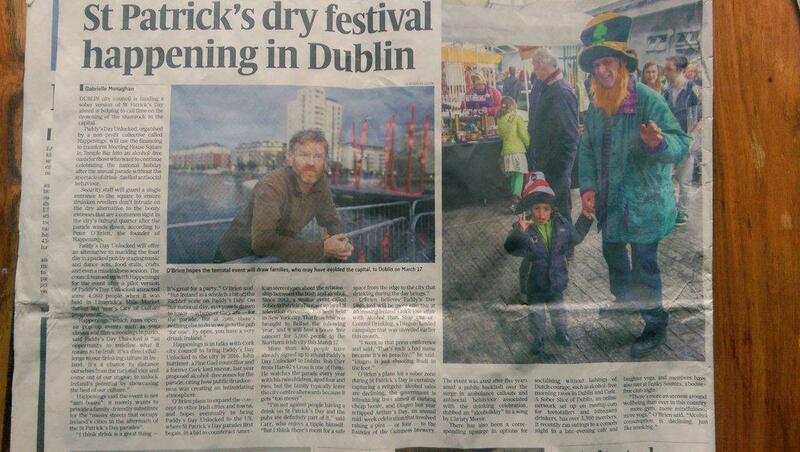 Watch this space and www.happenings.ie for all the acts and offerings at Paddy's Day Unlocked 2015 in Dublin.